The following story is the first installment in a new series from Transition US, called “10 Stories of Transition in the US.” Throughout 2018, to celebrate the 10th anniversary of the Transition Movement in the United States, they have been exploring 10 diverse and resilient Transition projects from all over the country, in the hope that they will inspire us all to take similar actions in our local communities. The project was in part inspired by the 21 Stories of Transition, and forms a wonderful addition to our story collections from across the Transition movement. In his Transition Handbook, Transition Movement founder Rob Hopkins stated that, “Food is the most sensible place to begin rebuilding community resilience, but building materials, fabrics, timber, energy and currencies follow soon after.” To best address the steps toward resilience the Transition Movement has made in the United States over the last ten years, it seems sensible to start with a project that has contributed roughly a quarter-million pounds of organic fruits and vegetables to food insecure families since its inception in 2010. 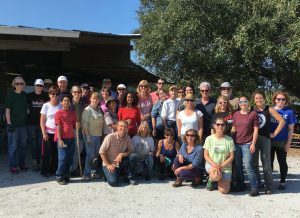 In making the transition to a world where no one is food-deficient, Transition Sarasota’s Suncoast Gleaning Project is guiding the way by enacting a tradition that dates back millennia. 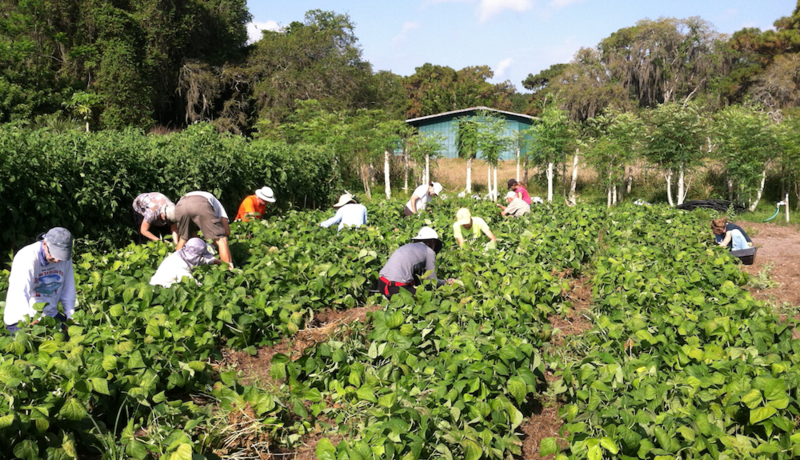 Transition Sarasota has taken a more active approach with the Suncoast Gleaning Project. Instead of merely leaving surplus produce for the less fortunate to collect themselves, volunteers meet at Jessica’s Organic Farm every Monday morning to gather up what the farm cannot sell, and deliver it to All Faiths Food Bank, which then distributes it to those in need through a network of hundreds of agency partners. With a growing season that runs from October to May, this results in tens of thousands of pounds of fresh, organic food being disbursed throughout the community every year. According to research by the Healthy Food Access project, a collaboration between the Manatee and Sarasota County health departments, only 27 percent of Sarasota County residents live within a half-mile of a healthy food retailer. The USDA estimates that as many as 23 million Americans, including about 6.5 million children, live in the low-income urban and rural neighborhoods, leaving them without access to quality, nutritious foods. 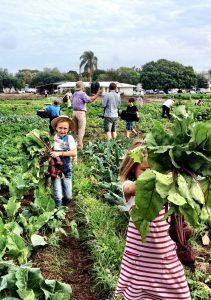 The annual start to the gleaning season has also come to coincide with one of Transition Sarasota’s other food-based initiatives, Eat Local Week, which includes farm tours, farm-to-table dinners, film screenings, keynote speakers, and other community events.